Saults & Pollard Limited donated the Saults & Pollard Limited Shield to the Winnipeg Music Festival in 1931. This shield was originally awarded annually for the most outstanding performance by a Junior Male Youth Choir. 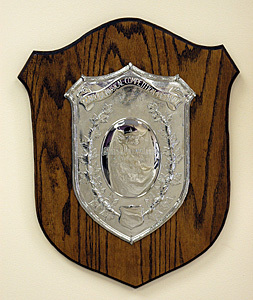 From 1991 until 2005, this shield was awarded for the most outstanding performance by a Youth Choir. It is currently awarded for the most outstanding performance by a Youth Community Choir, 19 years & under. 1992 St. James Assiniboia Sr.